Founded in 1909, the Syouryu Koubou workshop is one of the last places in the world specialized in the manufacture of Orin bowl traditionally used in Japanese Buddhist temples. 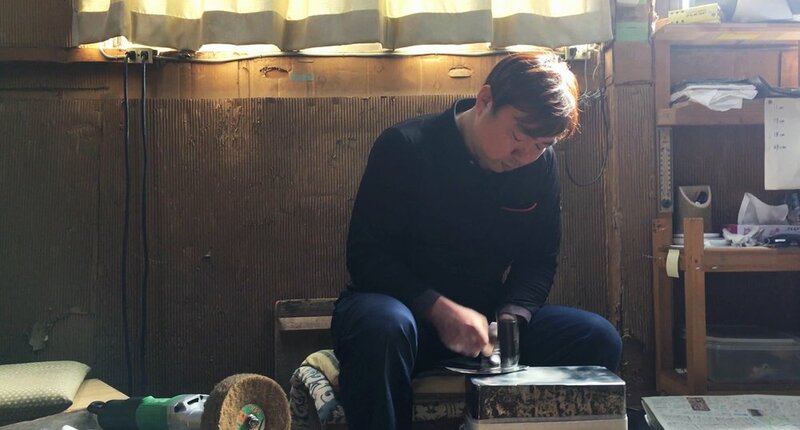 With three of the last ten Orin craftsmen remaining throughout Japan, the principle of this know-how is to hammer brass plates by hand in order to obtain a bowl with a pure sound. In order to preserve this know-how, Yoshinori Shimatani has been thinking for several years about how to reinvest his techniques in the creation of new products more adapted to contemporary lifestyles.